It's a global marketing success story that will benefit as narcissism rises, argues our stocks analyst. Should you pay 30 times earnings for shares in a global “prestige” consumer products group? With its shares at around $150, Estee Lauder's (NYSE:EL) prospective dividend yield is only 1.1%, so what's key for investors is judging earnings quality and potential. Management reckons smaller repeat purchases of items such as cosmetics, meeting aspirations of the globally expanding middle class, are durable. Or psychologists might say the global epidemic of narcissism means luxury cosmetics are helping to beautify personas and prop up egos. China is also proving a sweet spot for this $54 billion (£42 billion) group which has enjoyed a 20% jump in Asia Pacific like-for-like sales to $1 billion in the final three months of 2018 (fiscal year Q2). This comfortably offset a 6% fall in the Americas where the US government shutdown hurt consumer spending and sales were also compromised by reduced department stores like the the liquidation of Bon-Ton Stores Inc. However, online and specialty retail store sales grew. Estée Lauder's chief executive says the group is "turning around its US business to return to growth". Meanwhile, sales in Europe, the Middle East and Africa, grew 16% to $1.77 billion – the largest segment. Overall, new product launches have reached an all-time high of nearly 30% of the business. That's enticing if Estée Lauder could in the medium term be firing on all cylinders, if affirming fears about how cosmetics can still be affected by the economy: management also citing trade sanctions and a softer UK market being why net group sales are up 11%, despite achieving the first-ever quarter of sales (just) over $4 billion. Earnings per share (EPS) growth is more exciting: at $1.86 for Q2, up 22.4% like-for-like and a massive beat versus consensus for a near-static $1.54. 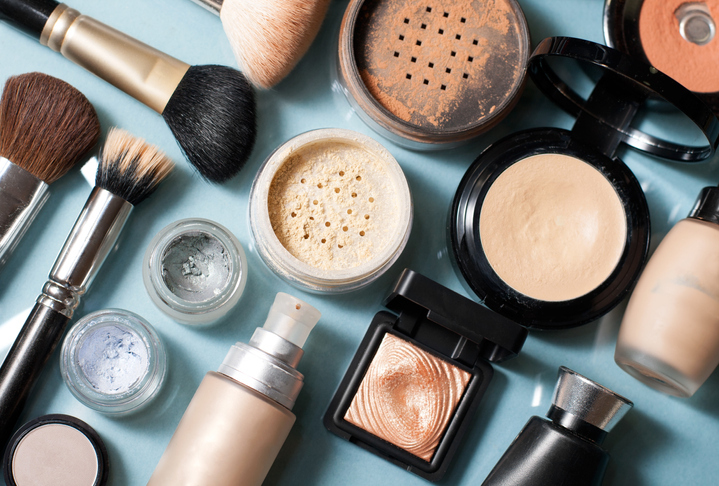 If acquisitions and investments are set to yield sustainable growth, then scope exists to upgrade the recent analysts' consensus for EPS of $4.9 in respect of Estée Lauder's year to end-June 2019. That would mark a break-out from an otherwise slack context of net profit growth in recent years (see table below). The stock jumped 12% in initial response to these Q2 results, having been depressed by trade tariff fears and the late 2018 market sell-off. A fair buying price or should you await another market slide? Shifting sentiment helps explain a jagged chart within a near 13-fold rise from $11 at the trough of the 2009 recession; then a $75 to $95 range during 2015-2016, and a circa $125 to $155 range over the last 15 months. The all-time high was $158 last June. Ignoring the stock's name, brand reputation and underlying financials, you could view that as a prime example why conservative analysts caution that US equity values have substantially benefited from central bank monetary stimulus. It verges on exuberant but isn't irrational, nor is it a bubble value. Bulls have kept an upper hand in this upwards chart because it reflects Estée Lauder's astute product development to capitalise on aspirational middle classes globally. "Jeffrey, I told you women in China or Asia would not let tariffs get in the way of buying their make-up! You don't have a clue about women and their beauty products!!" Yes, it's justified to question the overall valuation: if Estée Lauder was London-listed then it might sustain a price/earnings (PE) multiple in the mid-20s – Burberry Group (LSE:BRBY) for example is on a forward PE of 22 times – and if the US economy slides with the Federal Reserve having little scope to cut interest rates, then equity values will take a leg down. For now, that's a worst-case scenario, and you should still be aware of Estée Lauder as a marketing success story, potentially to buy into. Estée Lauder is reaping benefits of investment in higher-growth opportunities, appealing to younger trendy shoppers – its bought brands such as Becca, Le Labo, Kilian and Too Faced. While psychologists speak of a global epidemic of narcissism, Estée Lauder's face and skin product sales have soared 18% at constant currency to $1.73 billion in context of $4.01 billion Q2 group sales. Make-up and hair care rose 5% to $1.56 billion, though fragrance eased 2% to $537 million while hair care grew 8% to $154 million. Three of the largest brands grew globally: Momentum, in skin care and make-up, by double digits for the seventh consecutive quarter; MAC cosmetics, enjoying strong international performance as China's leading prestige make-up brand and number two internationally. Meanwhile, La Mer skin care cream benefited from customer loyalty and digital campaigns recruiting many new ones. Clinique skincare also benefited from various new sub-brands. Clinique iD, launched in the final week of 2018, has already exceeded expectations "and has the potential to become one of our company's most exciting launches" meeting desire for more personalisation. Management asserts: "A key strategy of our brand success is creating profitable repeat business from devoted consumers; attracting new users with compelling innovations and marketing; product quality turning them into lifelong fans." Looking at all this in terms of "worth to a private owner", the classic benchmark for value investing, a bidder would recognise value above historical financial results - respecting long-term brand values hence stability of future cash flows – the tricky aspect being to judge exactly what this justifies. Portfolio investors can't exact synergies and cut costs, combining operations, you have to take a guess – mindful how successful companies are usually trickiest to value. The market's manic-depressive tendencies can be exploited to your advantage though: my tactic would be to wait see if January's market rally runs into trouble. All of Estée Lauder's products are growing by double digits, despite concerns about the Chinese economy. High-quality beauty products remain sought-after; younger Chinese people are also spending more money than their parents on personal grooming. Management reckons demand will remain strong despite risks to the economy and more oversight of Chinese travellers who buy goods offshore for resale domestically. "So far, we have not seen an impact and remain optimistic... the large and growing middle class in China will remain passionate about high-quality beauty products... also the announced tax cuts have potential to sustain consumption..."
As if having it both ways, though, they also cite a number of global risks including "future moderation of net sales growth in China and travel retail" plus a tariff increase should the US and China not agree a trade deal. So, I would follow Estée Lauder as a potential buy, especially if trade talks founder to destabilise markets. You'd need to judge the upshot of further tariffs, although "Jean" is on-the-money with her remark about Estée Lauder's Asian potential. It looks to me like a premier branded group is entering a medium-term period of upgrades as its investments bear fruit. The chart verifies a strategy to: Buy on weakness.